This manual is designed to assist trained mechanics in understanding the basic procedures of service and maintenance work. Always consult the owners manual or Service Manual made for your particular vehicle before attempting any service work. If you do not have the proper training or tools to perform a particular task it is best if you seek out a service professional. Inexperienced technicians without the correct tools and knowledge may not be able to perform these jobs as intended. Caution needs to be taken for the vehicle and its operator as serious injury can occur. Always read a procedure in its entirety before attempting any tasks. Many thumbnail images can be clicked on to show larger images. If you notice any errors in this guide please contact us immediately. I order this manual expecting to have the break down to remove the cylinder head on my Ninja 500. I do not see anything related to the removal of the cylinder head. Is there anything that I am not doing or you simply do not have that break down? I would appreciate a response as soon as possible. You are looking at our general service manual – it contains basic wrenching info. Please go back to your membership page and you will see a link to the Cyclepedia Ninja 500 manual which you paid for. You’ll find the cylinder head removal information you need and much more! I just bought a Kawasaki 2006 ex250f6 and I am needing info on proper shifting with rpm for this bike. I am used to cruiser bikes and the rpm and shifting is different. Anyone have advise for me? 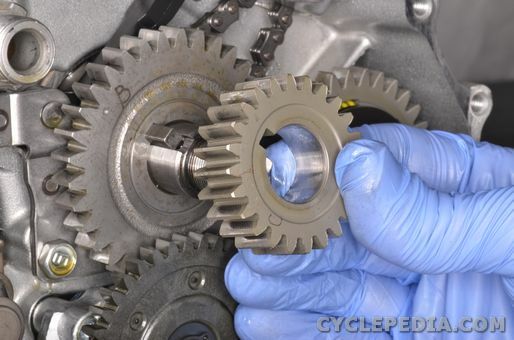 Please see our Raptor 700 service manual for how to properly bleed the coolant system. Cyclepedia now has a service manual for the Raptor 700R. have any service manual for the Raptor 700R? Cyclepedia now has a service manual for the Raptor 700R.